The water damage Ontario team at 911 Restoration Ontario makes the customers’s wellbeing their number one priority when they are called to take care of any disaster job in the community. 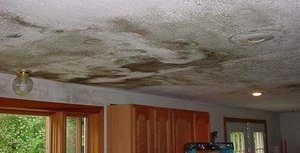 Our water damage Ontario pros ensure that we will provide you with the highest quality customer service experience in the industry, no matter how big or how small your water damage circumstances may be. Whether you have a leaky roof or a toilet overflow, we’ve got you covered. 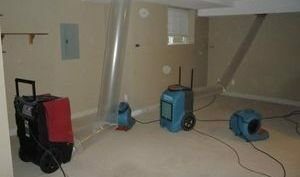 Our water damage Ontario techs even work with IICRC certified technicians to ensure that you get the very best service. Our water damage Ontario staff is available 24/7/365, ready to answer calls around the clock in order to answer any questions you may have regarding a preexisting condition or a completely new situation. Call our water damage Ontario technicians when you need our crews to be dispatched to your property at a moment’s notice, so we can get your home back to normal in no time! Our water damage experts are the best in the industry, and that isn’t just because we use all of the latest drying technology and the most advanced suction tools, but mostly because we care about our clients. When it comes to a ceiling leak, pipe burst, or water heater malfunction, the best way to reduce the loss that these instances will cause is to be vigilant about the cleanup efforts and the dry-out process. Our specialists extract the water, and any building materials that have been adversely affected by it as well. When we get to the site of a flood, we begin by using powerful sump pumps that will eliminate any standing water from the premises. Then we make sure there is nothing with any remaining moisture in the area so that we can ensure no mold grows after we move to the next phase of restoration. If your property has recently been through a flooding incident, then don’t wait another minute to contact our water damage Ontario experts with 911 Restoration Ontario for help today! When our mold removal Ontario crews arrives on the scene, our unit will check every part of your home to make sure we discover all traces of fungi that may be living inside the property. Our mold removal Ontario operation knows that mold can be difficult to locate, because it loves to live in dark, damp environments that you usually can not see in plain view. We will use equipment that deals with both the mold growth and water damage in order to get your home or business clean and completely sanitized. 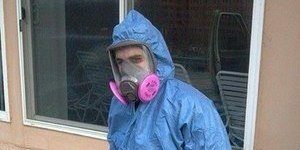 Our mold removal Ontario members also use containment apparatuses like vapor barriers to keep mold spores from spreading throughout the property and causing future infestations. Property owners can also feel good about the fact that our mold removal Ontario techs use eco-friendly cleaning agents when eradicating the mold and mildew, because our experts care about the environment. Call our mold removal Ontario professionals when you need the most competent mold extracting services in the industry and our team will go the extra mile for you today. When a black water event takes place in your home or business it can not only be unexpected, but it can also be a serious health risk as well. Black water can contain harmful parasites and diseases that you may unfortunately catch if you attempt to clean up a sewage situation on your own, and this is why we suggest letting professionals take care of it for you. When situations like a toilet backup occur, make sure to contact our sewage backup cleanup Ontario crew to take on the challenge for you so that you can stay safe while our professionals solve your issue today! Fire and smoke scenarios can be some of the most devastating catastrophes that befall a home or business during the lifetime of the structure. To prevent the situation from being the most devastating event in the lives of the occupants of that structure, our expert teams will get to work restoring the property back to its original glory as soon as possible. For both businesses and homes alike, our priority is to the customer. We make sure to always put the customer first in every job that we do, and in fire damage scenarios this is no different. If your property has recently been through a flare up event of some sort, and you want help from the best in the industry, then contact our fire and smoke damage restoration Ontario experts with 911 Restoration Ontario for immediate relief today! Our disaster restoration Ontario workers have many years of experience in the home restoration industry, so we know that when floodwater saturates your living space then it can cause mold to infest. Water and mold aren’t the only disasters that can effect your home, and our water damage Ontario techs know how to take care of them all, from fire damage to sewage overflows. You can be sure that our disaster restoration Ontario experts will not leave a remediation job until our professionals are absolutely sure that every mold spore and smoke stain has been removed, giving you the ultimate peace of mind. It is the duty of our disaster restoration Ontario team to prove to you that our staff approaches every disaster situation with knowledge about how to remediate the circumstances thoroughly. So, call our disaster restoration Ontario technicians today and we will be there to be your shoulder to lean on throughout this whole ordeal.